This week the sun has made the occasional welcome appearance. As soon as it pops out you'll find people streaming out of hibernation and just standing still on the pavement eyes closed basking in the weak sunlight. Believe me, I've seen it with my own eyes... or at least one person basking, the other passerbys looked like they wanted to follow suit though. It's on days like this when you look around anew with the sun glinting in your eyes and think, ok, Berlin is a pretty cool city. Here's a few things that make the city so recognisable. In Auckland the Sky tower helped me to get my bearings wherever I was in the city, so on arrival in Berlin I was relieved to realise that there was an equally phallic replacement. In the middle of nowhere at 2am? Just look to the TV tower, it's like the modern day North star guiding you home. 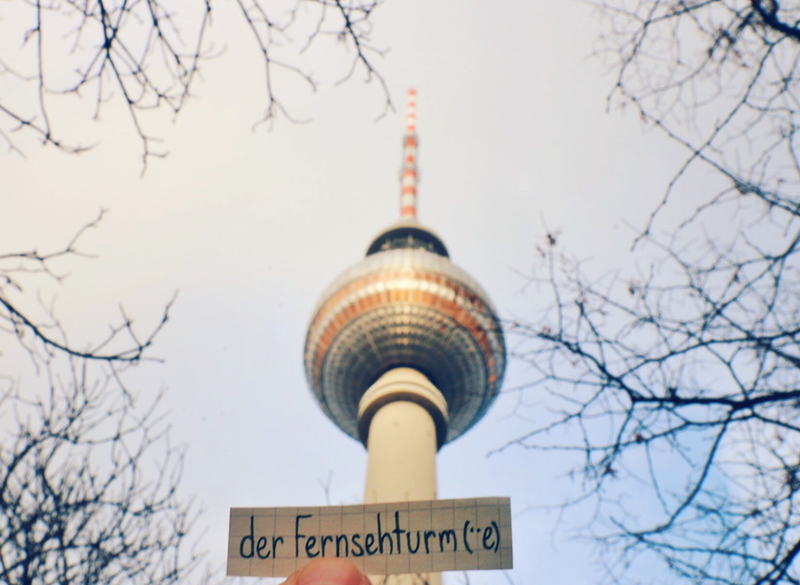 It somehow manages to get in to so many photos of Berlin that it's even got it's own hashtag - #thattoweragain. Everywhere you look there's strange pink pipes hovering above the ground. But it's not some kind of modern art, it is in fact saving us all from drowning. Ok, that's probably an over-exaggeration, but it is pumping out water from the ground as Berlin is pretty much built on swampland. Oh, and yes, it too has it's own hashtag - #thatpipeagain. I love being by water and it's not just the Spree that makes Berlin special but all the many zig-zagging waterways and lakes. There's nothing quite like sitting by the river on a summer's day while the sun starts to set. It's not quite so fun in the winter. It seems like the city is a constant building site at ground level and in the sky. With the amount of orange barriers in the street you sometimes feel like you're running some kind of baffling maze with no way out. 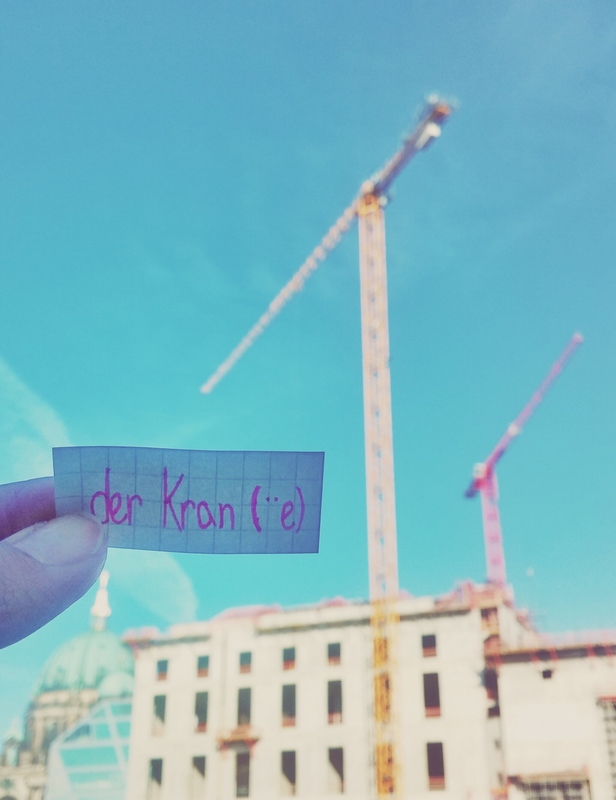 In the sky, the construction suddenly looks a lot more majestic. 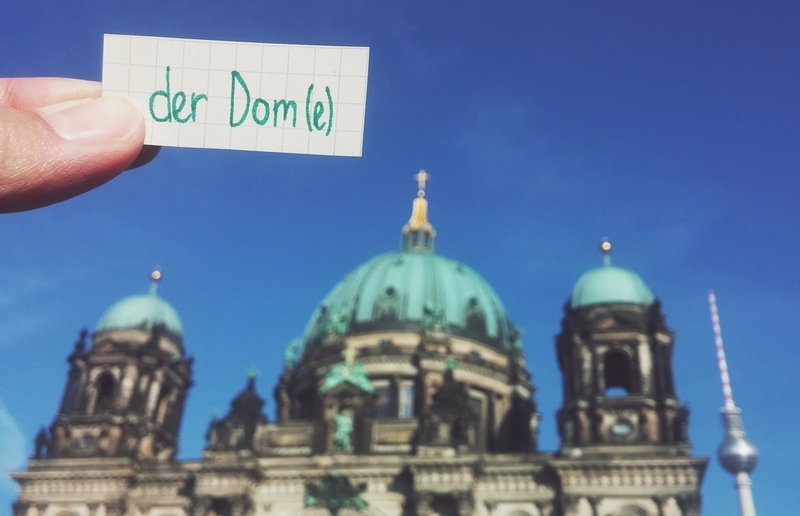 I love that in the middle of Berlin is an island with almost nothing but museums, art galleries and the Berliner Dom. But it's not just Museuminsel that thrills me but every single beautiful historic building that surprises you as you turn a corner. The city is awash with amazing old buildings, some in better states than others. I gave up history when I was 14, something I regret now as my historical knowledge ends around the Tudors and Stuarts. Everywhere you look Berlin's history stares you in the face and my new year's resolution is to really get to know the in's and out's of the city in which I live, starting with the Berlin wall. Book & film recommendations welcomed!